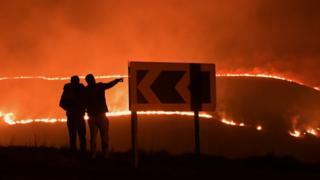 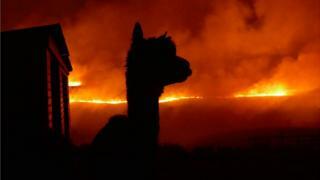 A fire described as "apocalyptic" ripped through moorland in West Yorkshire on the same day the UK broke the record for the warmest winter day. 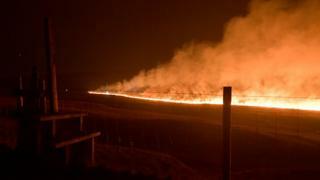 Firefighters in Marsden said the "dramatic" fire, which covered about 1.5 sq km of land, was one of the biggest moorland blazes its crews had ever dealt with. 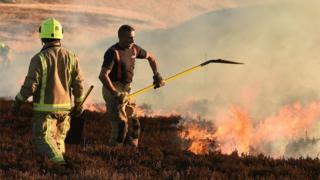 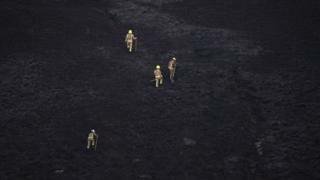 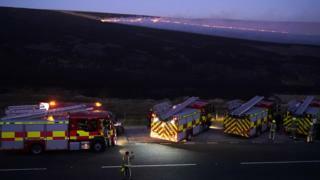 Last summer, two huge moorland fires burned for several weeks at Winter Hill near Bolton, while the Army was drafted in to deal with a blaze at Saddleworth Moor. 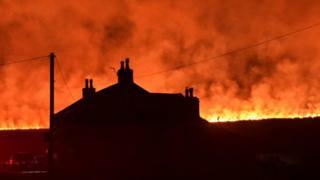 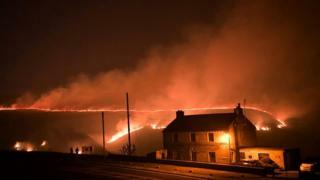 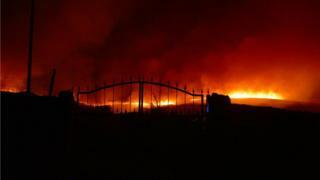 Image caption Witnesses described the fire as "apocalyptic"
Is hot February down to climate change?